Lonnie has been practicing law for more than 20 years, spending much of that time working with technology start-ups in the San Francisco Bay Area.Lonnie established Finkel Law Group. P.C. in 2003, after practicing law with the U.S. Department of Justice in Washington, D.C. and several national law firms in San Francisco.Lonnie is a sought after advisor to technology companies across the Bay Area, and has participated as a mentor in the University of California Berkeley School of Engineering's Entrepreneurs' Boot Camps. 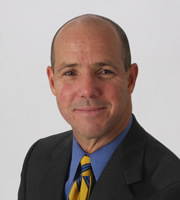 Lonnie's experience spans the life cycle of businesses, including forming and governing business entities, negotiating debt and equity financings, implementing equity compensation plans, preparing buy-sell agreements, and guiding clients through mergers and acquisitions, reorganizations, restructurings, divestitures, spin-offs and dissolutions. Lonnie also has experience helping clients secure and commercialize intellectual property rights. His work includes registering trademarks and copyrights, negotiating IP licensing and sales transactions, and implementing trade secret protection and data privacy and security strategies.